Filmmakers Anurag Kashyap and Aanand L. Rai are all set for the release of their upcoming film, Mukkabaaz this Friday. Having come together for the film, Mukkabaaz has garnered rave reviews at numerous film festivals globally. “Since the film sees the coming together of two sensibilities, Anurag Kashyap and Aanand L. Rai, that is the reason good enough to celebrate. Former has been associated with dark films most of the times whereas latter believes in keeping things lighthearted. With Mukkabaaz, it is pretty much apparent that the entertainment quotient would be there for the audiences, albeit with distinct Anurag Kashyap style that would make it stand out,” says an insider. The film tells the story of an aspiring boxer, played by Vineet Kumar Singh who slogs day and night to achieve his dream of being a recognised boxer. Things go awry when he falls in love with a high caste, mute girl, played by Zoya Hussain, who happens to be the niece of his arch nemesis, the head of the state boxing federation, Bhagwandas Mishra (Jimmy Sheirgill). 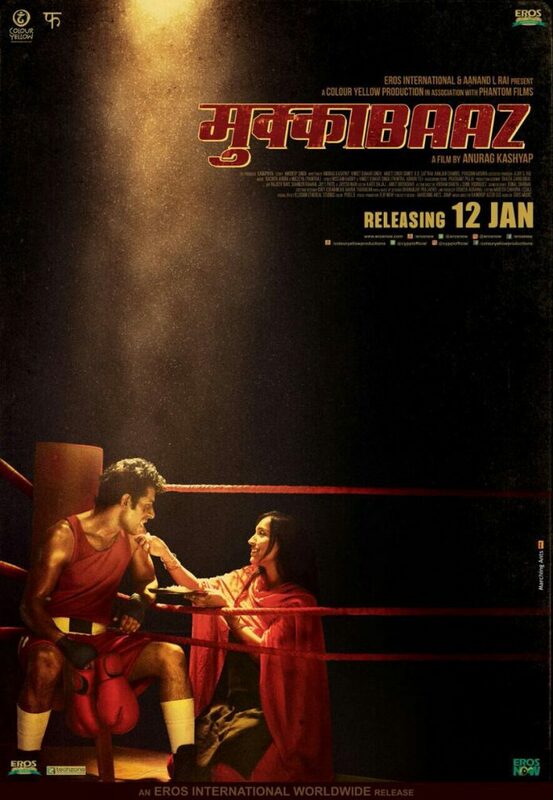 Directed by Anurag Kashyap, Mukkabaaz is in cinemas this Friday, 12th January 2018. See what Anurag Kashyap and Aanand L Rai had to say about each other in this cool video! 16 queries in 0.578 seconds.